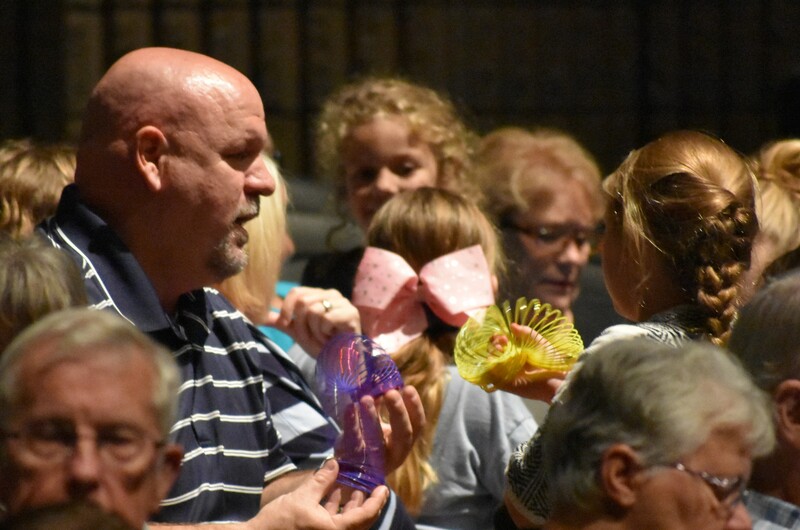 HANCEVILLE – On Sunday afternoon, Wallace State Theatre gave the last performance in a four-day run of the Disney classic “Mary Poppins,” in many ways saving the best for last. Its sensory-friendly show, offering an approach geared toward audience members on the autism spectrum and with other special needs, may be the first ever of its kind in Alabama north of Birmingham. Salerno said she was encouraged to do a sensory-friendly show by an email she received from a local parent. Logan, who attends the Cullman County Child Development Center, is a big music lover and a longtime fan of “Mary Poppins.” Keller said he even gave her a little education on the show, talking to her about the Sherman Brothers who composed the original music. Two years ago, Keller got the opportunity to take Logan to a theater production of the show which she called “amazing.” The reaction of fellow audience members to a special-needs spectator, though, was a different story. Keller had to deal with the looks that special needs parents know all too well, and even people who asked to be relocated elsewhere. “Not long ago we attended a sensory-friendly showing of ‘Beauty and the Beast.’ That was like night and day. It was such a different experience; we were more relaxed. There were other children and adults there that had some of the same difficulties. It was just a wonderful experience.